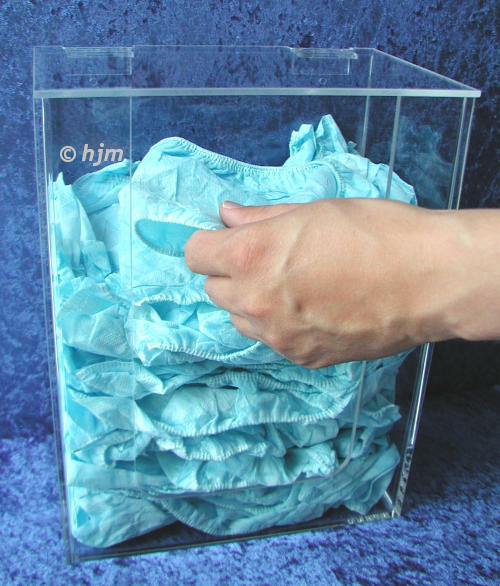 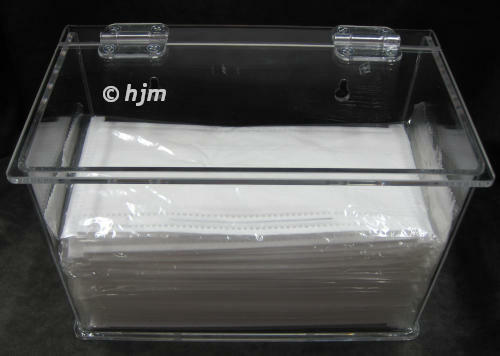 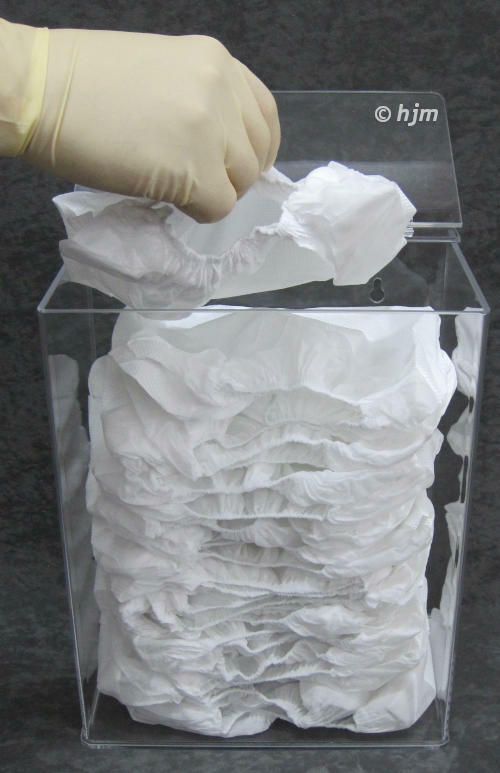 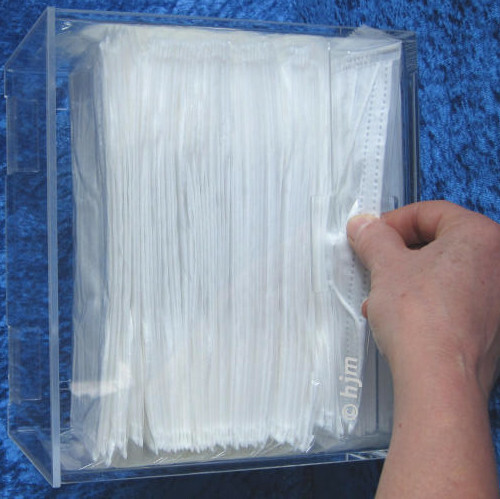 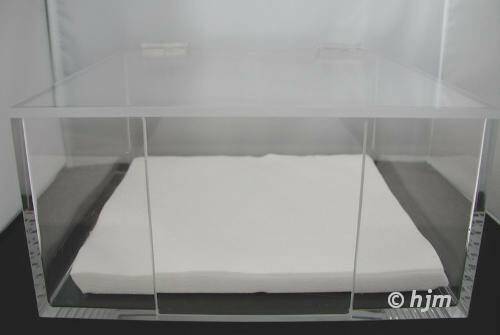 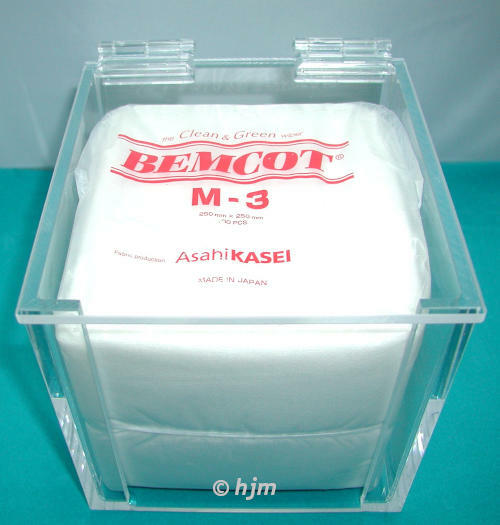 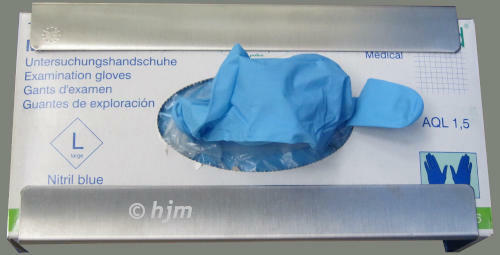 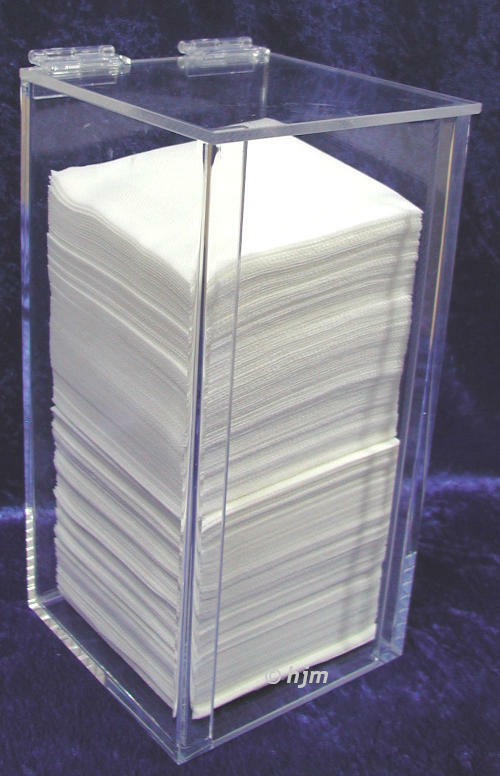 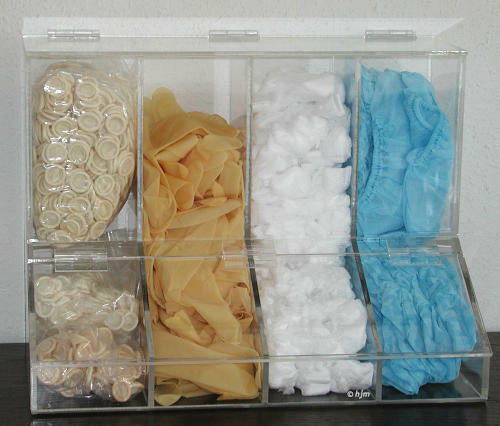 Cleanroom dispenser for easy storage of your cleanroom products like wipers, gloves, finger cots, shoe covers a.s.o. 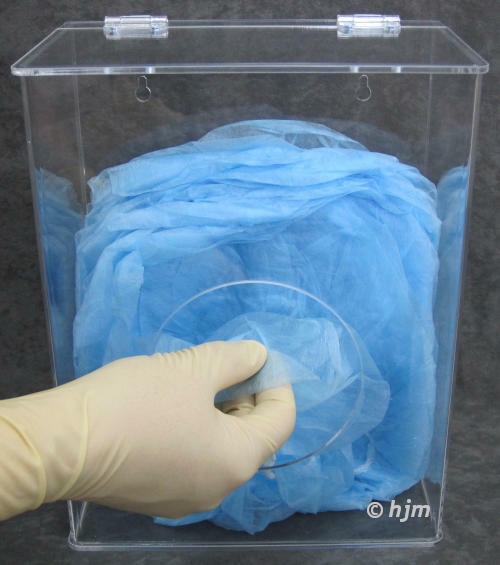 These dispensers are made from acrylic and available with or without antistatic coating. 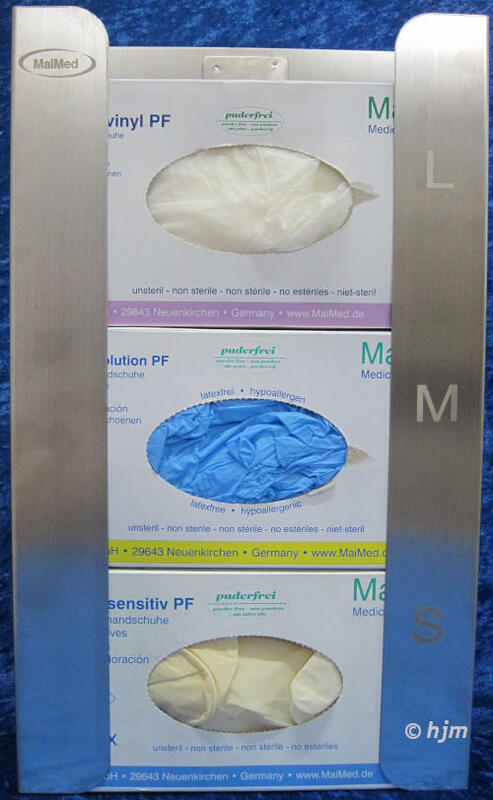 There are some standard dispensers available, but size and design by customers demand are no problem.